As we age, our eyes get strained looking at small print. Eye strain also happens to those who work on a computer all day long. 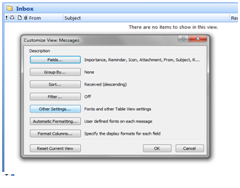 One way we can overcome this is by increasing the size of the letters in our Outlook emails and in other documents. 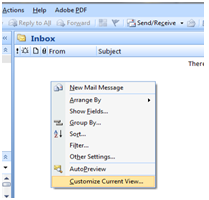 When you are in the reading pane of your email, just hold down the “Ctrl” key and rotate the wheel on your mouse forward to increase the size of the letters. 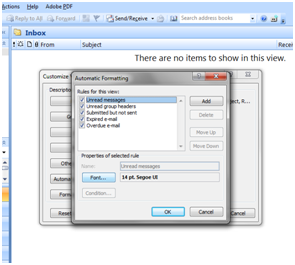 This works for other documents like Word and Excel as well. 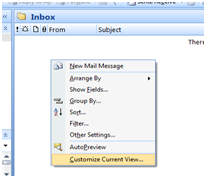 To begin, open your Outlook inbox and right mouse click in the white screen or subject bar. 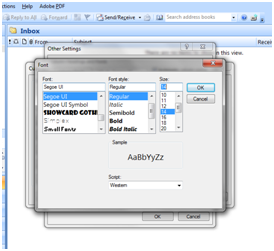 Left mouse click on the desired font size and press “ok” to each screen until you return to your Outlook screen. 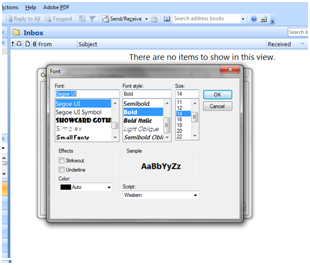 Your font should now be larger, except for un-read messages. 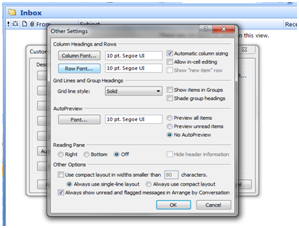 To change the font size of un-read messages, right mouse click in the white screen or subject bar again. 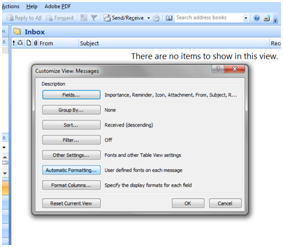 Make sure “Unread Messages” is highlighted and left mouse click the font button. Finally, left mouse click on the desired font size and press “ok” to each screen until you return to your Outlook screen. These steps can be repeated to change back to original sizes or make the text even larger. Luckily, there are steps you can take to reduce eye strain and make working on a computer a more pleasant experience.